The recent civil war on the internet which has erupted among Catholics brings to my attention that it is actually a symptom of a deeper problem, and that is the growing issue of division among some Catholics seeking to be faithful to the Church. One mindset seems to believe there is widespread corruption among the hierarchy of the Church, and very few can be trusted to do the right thing. This isn’t merely an attitude of arrogance – the “do what I think is right or you’re a modernist heretic” mindset. There are also those individuals who do look at the remaining dissention within the Church, who rightly recognizes that it is a bad thing, and think it must have a cause among those who lead the Church. They then think that if the bishops were doing their jobs rightly, we wouldn’t be in this mess to begin with. What disturbs me most about this mindset is that it seems to be a spirit of dissention which confuses the lawful authority of the office of the bishop with the individual who holds it. If the individual falls into sin, makes a bad choice or even makes a different choice from the one we would personally like, it seems that there are some who would dare to say we can ignore their authority as a bishop. I recall encountering this mindset for the first time in the lead up to the 1996 elections when Pat Robertson was going about with his Christian Coalition and trying to form a group for Catholics (I think it was called Catholic Alliance). One bishop, citing canon law, made a statement reminding the faithful that no group could call itself Catholic without the approval of the Church, and this group had not even sought approval from the Church. I recall bringing this up at the campus (I was doing my Masters degree at this time) group Human Life Concerns where certain members were trying to encourage all of us to join Catholic Alliance. In response, one of the members made a dismissive response saying the bishop in question was “totally liberal” and we didn’t have to listen to him. I was deeply troubled by this because it was a bishop who was exercising his office to clarify what the Church position was (not his own opinion) on this subject and he was treated dismissively because this individual had a low opinion of this bishop and “the bishops” in general. An underlying problem with the mindset is the dividing the issue into two areas – but the two areas are not mutually exclusive. This is the mindset of either [A] or [B]. 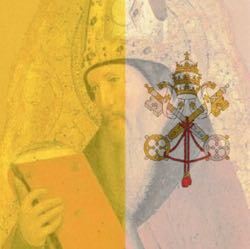 Either we can side with the person in defiance of the bishop, or we can side with “corruption within the Church.” The reason this is a false argument is that it is possible that one can say neither [A] nor [B]. I can for example deplore the dissent among certain priests, religious and laity and also reject the claim that we can disobey a bishop and still be faithful Catholics. Moreover,﻿ it is in accordance with reason that we should return to soberness [of conduct], and, while yet we have opportunity, exercise repentance towards God. It is well to reverence﻿ both God and the bishop. He who honours the bishop has been honoured by God; he who does anything without the knowledge of the bishop, does [in reality] serve the devil. Let all things, then, abound to you through grace, for ye are worthy. Ye have refreshed me in all things, and Jesus Christ [shall refresh] you. Ye have loved me when absent as well as when present. May God recompense you, for whose sake, while ye endure all things, ye shall attain unto Him. From the earliest days of the Church, the importance of the Bishop was recognized. Acting in harmony with the bishop is seen as good. Acting against the bishop or without him is deemed wrong. This is something to keep in mind. Do we carry on the practice of faithful Catholics when we reject the authority of bishops we dislike or disagree with? At this point some may accuse me of saying that all the faithful should shut up and mindlessly obey the Church. I would in fact reject this accusation. The Church does indeed speak on what we are to do in terms of dealing with difficult situations. Canon Law brings out that we the faithful of the Church have rights and duties in terms of our relation to the Church. We are to obey the lawful authority of the Church, but have the right and at times the obligation to make known our needs to those entrusted with our spiritual health. So the Church does not say “Shut up and take it,” in response to problems within the Church. However, we are to obey the pastors who act in the role of ruling the Church, and when we must make known our needs and concerns we must do so in a manner which is reverent and dignified. Members of the SSPX I have encountered love to cite Galatians 2: 11-15 to justify their disobedience to the Pope. They claim they are like St. Paul withstanding St. Peter to his face on an issue where they claim the Pope is wrong. Others use this to justify opposing their bishop, claiming they are following the example of St. Paul. There is a problem with this however. 11﻿ And when Kephas came to Antioch, I opposed him to his face because he clearly was wrong. ﻿12﻿ For, until some people came from James, ﻿he used to eat with the Gentiles; but when they came, he began to draw back and separated himself, because he was afraid of the circumcised. ﻿13﻿ And the rest of the Jews (also) acted hypocritically along with him, with the result that even Barnabas was carried away by their hypocrisy. St. Paul is calling to mind a flaw in St. Peter’s behavior, not his teaching. His personal actions warrant a rebuke. St. Paul is not disobeying St. Peter because this is not an issue of obedience. So it cannot be used to argue that we can defy the bishop when he acts as head of his diocese. The act of correcting a superior requires charity, gentleness and respect. Angry, rude and disrespectful accusations are not a part of such a charitable correction. St. Paul demonstrates the attitude which St. Thomas Aquinas discusses. He is not rude and abusive. He brings the facts of where Peter goes wrong in his personal behavior, but does so respectfully. Another problem to be aware of is that just because we have a preferred solution to a problem does not mean only our situation is right. I may personally prefer that our bishops punt the dissenters out so hard that they bounce on landing. However I need to recognize that, because the Church acts with the mentality of saving those who are in dissent from her, the Bishop may have a valid reason for undertaking a different action than we do. We must also recognize that before judging a bishop we must be certain we have all the relative facts. If our understanding is flawed, our conclusion will be flawed as well. It probably reflects our original sin, that it is easier for us to think someone else errs than that we err. Likewise we need to recognize that a similarity between a Catholic position and a political party plank does not mean that the bishops are “liberal” or “conservative.” We need to realize the one who is partisan may be us. If we do not realize this, we run the risk of dogmatizing our personal beliefs and mistaking them for the beliefs of the Church. Another problem is the tendency to argue from the bad decisions of certain bishops that the whole is corrupt. Now there are bishops who do wrong and do disagree with the teaching of the Church. However, it does not follow that all bishops are bad because of this. To have a valid argument which makes a universal conclusion, one needs a universal premise (All [A] is [B]). If you don’t have this Universal premise, you cannot draw a universal conclusion. To make an argument about the whole, you have two options. Any other valid form of argument can only speak of “Some,” not the whole. Even that requires one universal statement (Either “All [A] is [B]” or “No [A] is [B]”) to go with the limited statement (“Some [B] is [C]” or “Some [B] is not [C]”) to make a valid conclusion (Therefore some [A] is [C] or Therefore some [A] is NOT [C]). Otherwise, the argument cannot be said prove its point. The Church is falling into error by doing [X]. We call this Begging the Question because we can ask, “On what basis do you say [X] is wrong?” Or “On what basis do you say the Church is doing [X]?” If [X] isn’t wrong or if the Church isn’t doing [X], then the argument doesn’t work. If someone tells me “All Bishops are corrupt,” I have a right to ask that be proven. I don’t have to take your word for it. We can look at the Church teaching on [A] and see if it is being violated by the bishop (as opposed to being handled differently than we would like). I suspect this is why so many “appeals to Rome” against some Bishop fail. The allegation is made, the Church looks at it and recognizes that the accuser does not realize their allegation does not establish real wrongdoing. We also need to be aware that just because a bishop formulates a response for his diocese which seems to come close to a political plank for one of our parties does not mean the bishop is acting out of sympathies for one party or another. The Catholic Church opposes abortion. Not because the Catholic Church is “right wing” but because the Catholic Church believes that the unborn children are human beings. The Catholic Church does not oppose the anti-immigrant laws in America because they favor the Democratic Party, but because they believe these actions go against the obligation to treat each person as a child of God. We have to judge the political parties by Church teaching, not Church teachings by political ideology. We also have to recognize that the rejection of one extreme does not mean the acceptance of the other extreme. For example, the rejection of pure socialism is not an endorsement of laissez faire capitalism, and the rejection of laissez faire capitalism is not an endorsement of socialism. One thing I’ve learned over the years is that there are many who assume the Church teaches a thing when she does not, or does not realize that their own views are far stricter (or far more lenient) than the Church teaching. I’ve personally experienced people hear me say [A], then reason “If [A] then [X]. If [X] then [C]. Therefore he supports [C].” I then get accused of holding [C] when I actually reject [C]. The false accusation is based on the assumption that premise [X] follows from holding [A] without checking to see if I actually agree that [X] follows from [A]. If a bad priest appears to unchecked in a diocese, it means the bishop is doing nothing. If the bishop is doing nothing, it means he sympathizes with the bad priest. Therefore the bishop is corrupt/heretical etc. The problem is, just because we don’t see a response does not mean an absence of response. If we do not know how the proper procedure, if we are focused on punishment while the bishop is focused on redemption, then it is possible that we can judge a bishop out of ignorance. So the question is first, do we know all the facts of the case? If we do not, educating ourselves is necessary. The anti-magisterial attitude among certain Catholics is a danger which needs to be recognized. Yes some bishops do wrong and need to be corrected. However, others do not do wrong but are accused of being wrong because the individual thinks a case should be handled differently. Also the whole is often judged on the failings of a few. I don’t feel we need to justify a bishop who does wrong through choice or through a mistaken judgment. However, we do need to realize that it is entirely unjust to judge the whole on the basis of what we think is correct, without verifying that our knowledge is correct. Nobody wants to admit their knowledge is lacking on a topic important to them. For those who seek to be faithful Catholics, having to admit not knowing is difficult — it’s as if we feel we are admitting we are less faithful than we thought. But that simply isn’t true. Once we realize we don’t know a thing, we can begin to learn. However, so long as we stubbornly cling to thinking we know all there is to know about a situation, the result is clinging to error. It is dangerous for a person to assume he is not blind and therefore is allowed to judge.